It can be overwhelming to decide where you want to spend the next chapter of your life. 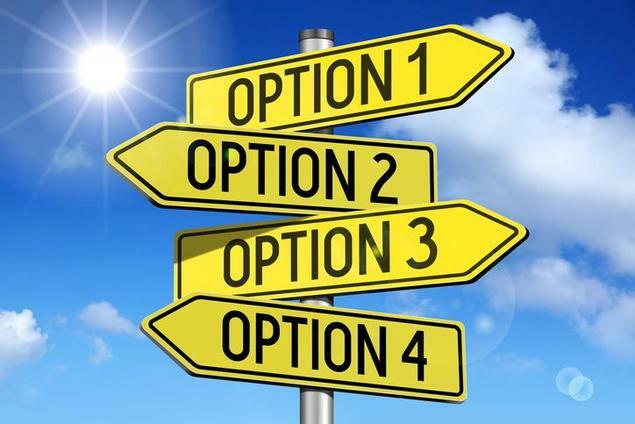 Here are the top seven factors to consider when searching for your ideal college! During their high school career, students often get the opportunity to explore their interests and passions - whether it be through extracurricular activities, jobs, or summer opportunities. If you find one area intriguing, look at majors and even potential careers that correspond with those interests. Then try to find colleges that have strong programs that align with those interests. For example, if you enjoyed participating in science fairs during high school, you may want to consider colleges that have strong science and research programs that you would be interested in pursuing. 2. Location: Rural, Urban or Suburban? Colleges could be in three distinct environments: rural, urban, and suburban. A rural college environment is a good choice for majors that involve being outdoors a lot like Environmental Science or Agriculture. Rural colleges tend to be relatively far away from any major city. Keep in mind that this will most likely limit the number of internships and job opportunities that are available. Being somewhat isolated also limits housing options for students - leading to most students living on campus. With the vast majority of students living on campus, rural colleges offer tight-knit communities and more events that occur on campus. On the other hand, colleges located in urban environments are great if you are looking for part-time jobs and internships - giving you plenty of opportunities to network. Because these colleges are locating in cities, there are more choices if you want to live off campus as an upperclassman. You will also be exposed to a great variety of entertainment options - whether it be museums, concerts, moving, or theatrical plays. With more things to do, urban colleges tend to attract a more diverse student body - allowing you to interact with students from a variety of backgrounds and cultures. Keep in mind though that urban colleges tend to be more expensive than rural colleges. The third type of college is in a suburban environment. Suburban colleges can be in small cities, large towns, or residential areas near large cities. Suburban colleges tend to be a mix of factors between rural and urban colleges. If different aspects of an urban and rural college environment seem appealing to you, a suburban college environment may be for you! Every college is different in its own unique way. It's up to you to decide what works best for you. If locations end up being the deciding factor between two colleges, make sure to consider the distance away from home! Do you want to be part of a college with a large student body or one of a smaller size? Larger colleges tend to be more diverse and composed of students who have a variety of interests. Smaller colleges tend to foster a more tight-knit community where everyone knows everyone. Do you prefer to be in big classes with 100s of students or learn in small groups? Being in large classes will probably allow for more collaboration with your classmates but chances are that you won’t be able to work with your professor directly. Being in small classes will allow you to directly interact with the instructor and your classmates. Examining the student to faculty ration will allow you to determine whether the school most has large classes or small classes. For example, is a college has a student to faculty ratio of 15 to 1, that means in an average classroom at that college, there are 15 students to every staff member. On what extent do you value activities outside of academics? If you like being involved in your community and engaged in extracurriculars, does the college allow for those opportunities? For some students, sororities and fraternities play a big role in their social lives during college. If that is important to you, consider colleges that have high Greek life participation. Also, consider the differences between public universities and private colleges. State governments pay for most of the cost associated with operating public universities. States oversee public universities through appointed boards and trustees. This influx on public money tends to lower costs at a public university. Meanwhile, private colleges don’t receive any funds from state legislatures - meaning they rely more heavily on tuition and private contributions to pay for the operations of the college - making tuition rates generally higher. Some students may be able to afford pricey schools. But for others, it’s important to be able to attend without having to take out student loans. Just like all the other factors on this list, decide what is best for you when it comes to affordability. When calculating the cost of attending a college, remember to include room and board with the tuition fees. Also, consider how much financial aid the college is willing to offer you. Make this process about yourself. This is where you are going to spend a chapter of your life. Whether it be what type of classroom you will succeed the most in or what entertainment options you want available, it is up to you to decide. It's a personal process, so feel free to treat it as such. Good luck finding your perfect campus!